Planica hosted two ski jumping competitions on the 102-meter hill. Ladies continued with the Continental Cup and men with the FIS Cup. 41 ladies from 17 countries kicked-off the action early in the morning. The first winner of the weekend became Jerneja Brecl of Slovenia who landed at 91.5 and 87.5 meters and gathered 204,6 points. 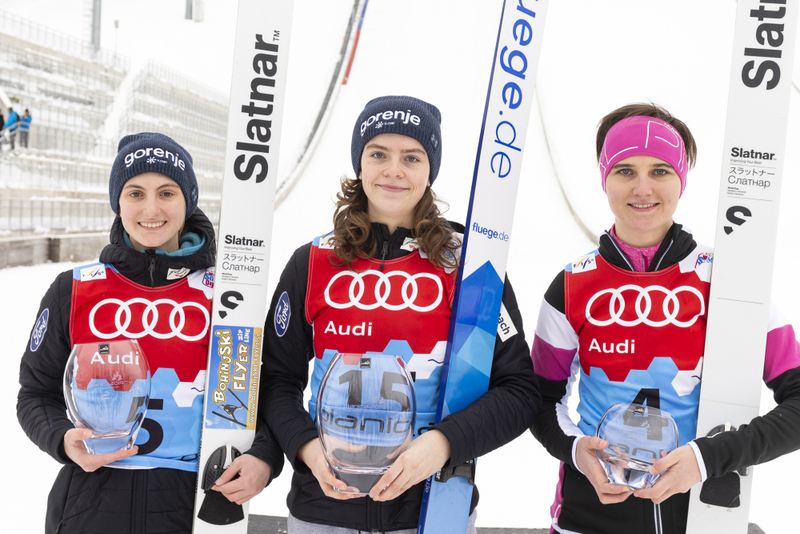 Her team colleague Katra Komar finished second (201.7 p.), while the Austrian Sophie Sorschag took the third place (199.6 p.). In the afternoon 14 countries were represented by 90 ski jumpers. Home athlete Cene Prevc was victorious with 98 and 99.5 meters (243.2 p.), the second place belonged to Stefan Huber of Austria (241.9 p.) and the third to Jaka Hvala, also of Slovenia (236.2 p.). Tomorrow ladies start their competition at 9.45, while men will follow at 13.15.